From the 1st tee, we realized that 1) picking our target off the tee was going to be critical, and 2) this course was going to be a lot of fun. 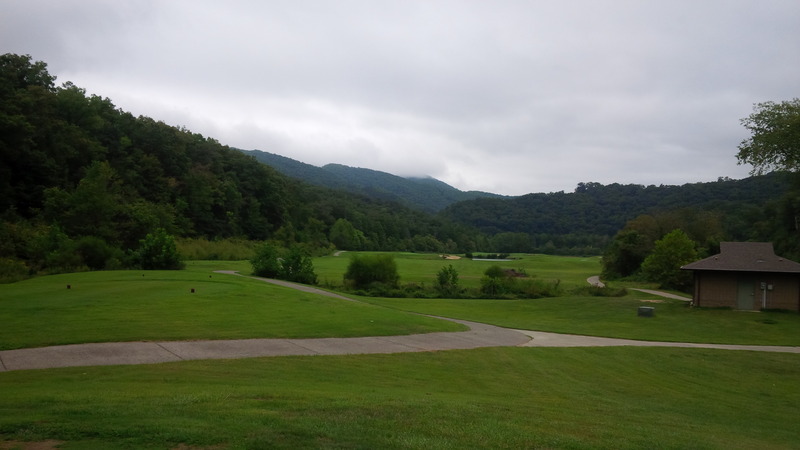 Wasioto Winds Golf Course at Pine Mountain State Resort Park is, ironically, perhaps the antithesis of a mountain golf course. 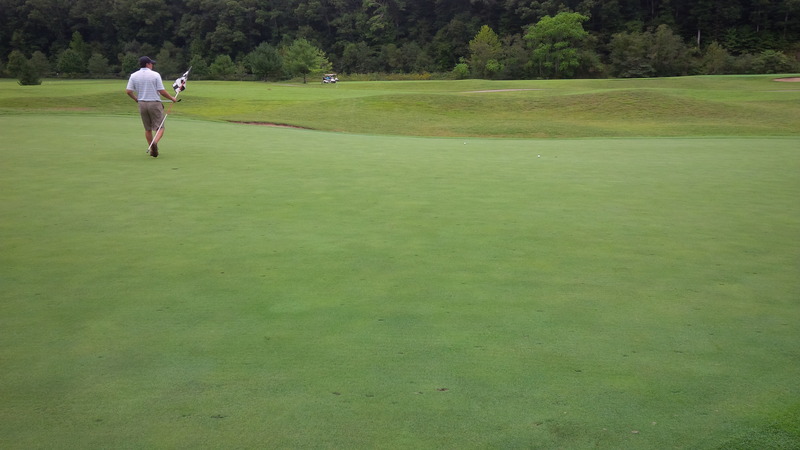 There are no mountaintop vistas or dramatic 100+ foot drops from the tee box to the green. 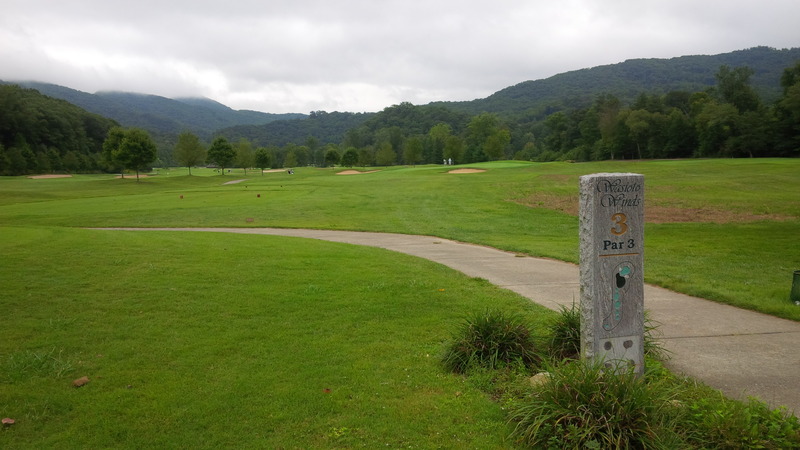 Despite attachment to a state park set high atop Devils Ridge of Pine Mountain, Wasioto Winds Golf Course is actually located in the valley between two mountains. In fact, the course is built upon land so flat that the course’s architect, Dr. Michael Hurdzan, incorporated a series of newly constructed lakes and ponds to help prevent and control flooding during heavy rains. 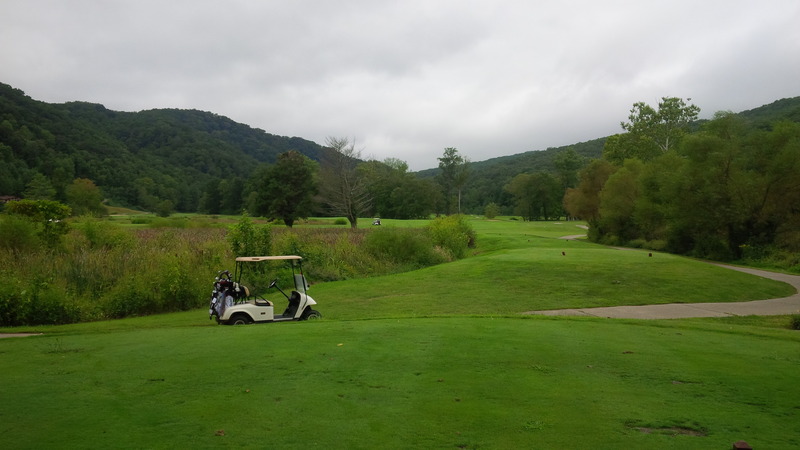 We played Wasioto Winds on a calm day, damp, overcast day, but I can envision 30 or 40 mph winds whistling through the valley between the mountains with regularity, wreaking havoc on golfers. Unless faced with a forced carry, Wasioto Winds has perhaps the least intimidating tee shot visuals of any truly difficult course I’ve played this year. It was a neat and cruel trick of the designer. The course is a long, meandering, almost completely flat course. The tee box for Number 13 is a true elevated tee box, constituting far and away the highest point of the course, but the remainder of the course is almost links style in its topography and playability. 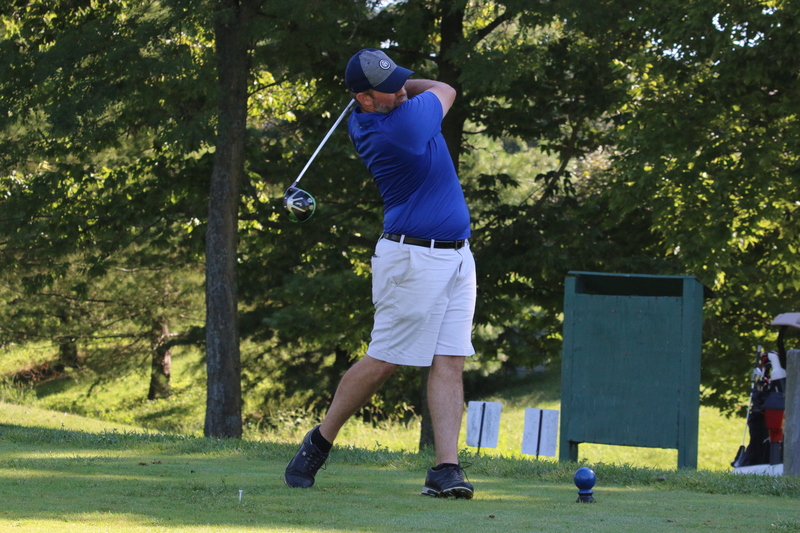 There are a few small to medium-sized trees adorning some of the fairways and bordering Clear Creek, which runs through the heart of the course, but the course is pretty wide open. Local knowledge probably played the smallest role of any of the KY’s Best Courses I’ve traveled to this year. For instance, I played from several wrong fairways without too much concern or trouble getting back to my proper fairway or green. Unique of all the rounds I’ve played this year, we played Wasioto Winds from the tips, something I’m rarely dumb enough to sign-on for. However, my playing partner has been driving the ball extremely well of late, so I was happy to let him test his full game. This was a typical Wasioto Winds hole: a hazard takes away an entire side of the hole, but there was little penalty for bailing out to the safe side. As it turns out, playing the full length of Wasioto Winds wasn’t a poor decision. When I drove the ball average to very well, meaning hitting a drive in the 230-250 yard range, for me, very rarely was the course too big for me. 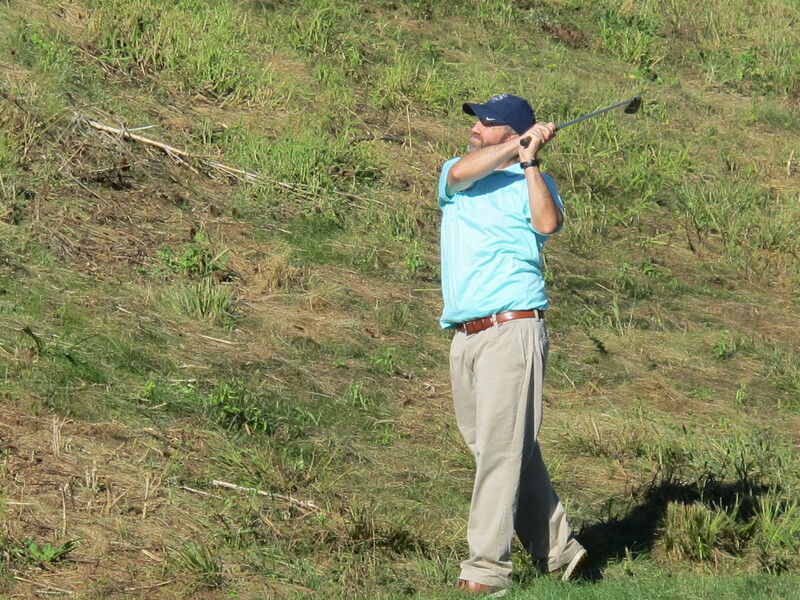 Only on a few occasions did I hit a decent drive and face an approach that required a hybrid or long iron into the green. On many of Wasioto Winds’ holes, the back tees provide for a significantly different experience than some of the other forward tees. Specifically, holes number 2, 5, 8, 17 & 18 play very differently, with a significantly more difficult challenge due to the extra length. At 7,037 yards on the scorecard, the back tees at Wasioto Winds provide a stout test, reflected in a course rating and slope of 73.9/137. The green for the short par 3 8th hole was typical of the generous putting surfaces at Wasioto Winds. Despite the length of the course, what keeps the course from being rated more difficult, perhaps, is that on very few shots did the course dictate what kind or shape of shot one must play. 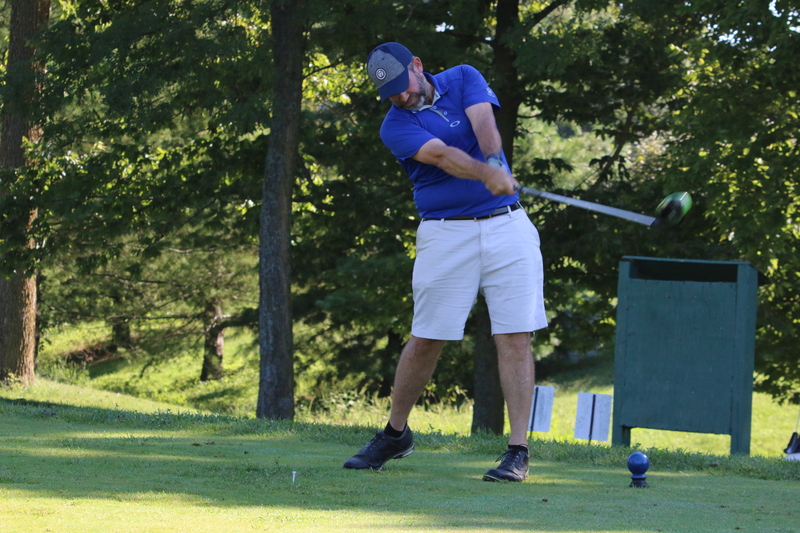 I have played so many parkland style courses this year, that it was kind of refreshing to be on a championship level tract that allowed us just to swing away without worrying too much about whether we could fade or draw the ball on demand. Wasioto Winds had big, flat greens at which to aim, with only minimal to moderate slope and undulation in most cases. The greens were smooth and well maintained, rolling at about average speed for a public-access course (not too fast, not too slow). One of the very few blemishes on an otherwise sterling golf experience, the course needs a long-term solution to the lack of air movement to save the 12th green. Tees, fairways and greens were all in good, but not pristine, condition. There were a few thin spots in some of the fairways, but nothing to be upset about. 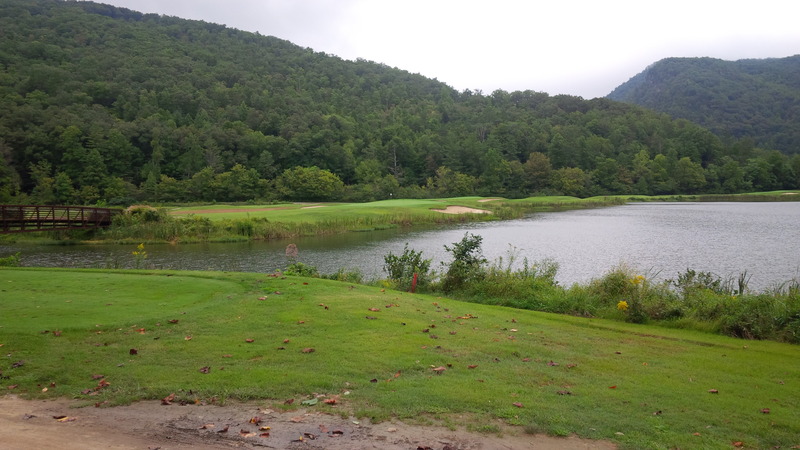 The 12th green is stuck in a remote corner of the course, wedged between Clear Creek and one of the mountain ridges, with little opportunity for effective movement of air. 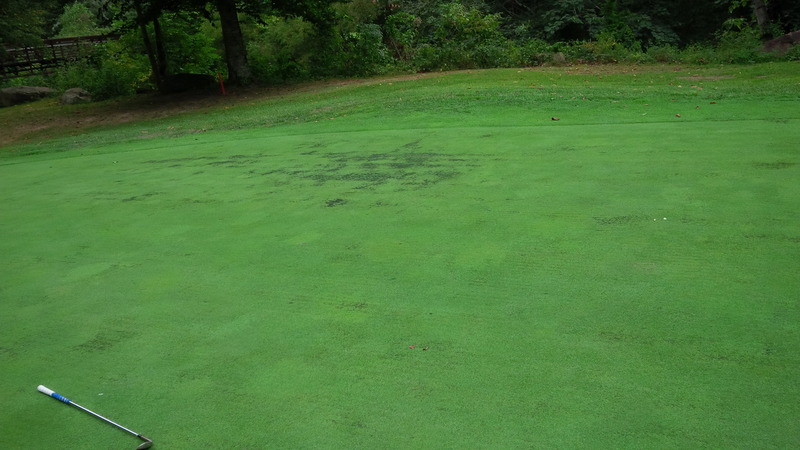 A few fans to circulate air around this green are a long-term need for sure. A little bit of weed grasses were creeping from the rough toward the fairways throughout the course, but it was not a big problem and didn’t affect playability. I suspect that the chemical maintenance budget was an easy target for cuts as this state-supported course deals with state-wide budget shortfalls. Surprisingly, the Wasioto Winds bunkers were in fantastic shape; trust me, I had several up close and personal experiences in their tough, large grain sands. The 18th hole has perhaps the most intimidating tee shot requirement of the entire course. Hole number 18 is the signature hole at Wasioto Winds. 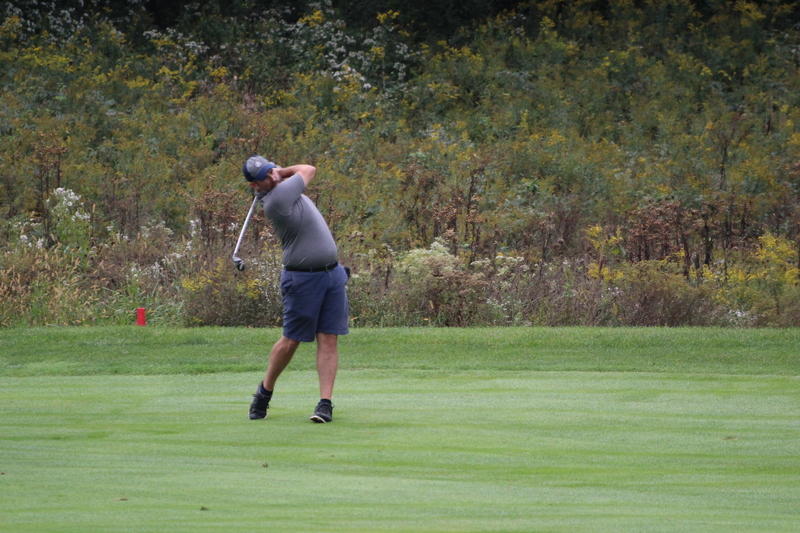 The back set of tees weren’t set up at the actual championship tees for our round, which would have played from 639 yards, with a forced carry of 240 yards over a lake down the right side of the first half of the hole. Once you clear the lake, one still has two full shots into an elevated green guarded by multiple bunkers and difficult slopes. It is a monster hole that leaves an indelible impression as the round comes to an end. Beautiful natural surroundings between the creek and the mountains are an essential part of the Wasioto Winds experience. The lakes and waterways are largely bordered by natural wild grasses that are unmown, which really adds to the nice aesthetic. The long par 4 15th hole begins a difficult stretch of quality closing holes at Wasioto Winds. The course was pretty empty on a really nice Sunday morning. I can’t imagine there’s a ton of play at the course, as there is limited local population. The course is only 10 miles Cumberland Gap National Historic Park, so combined with Pineville Mountain State Resort Park, perhaps there’s a steady flow of tourists. 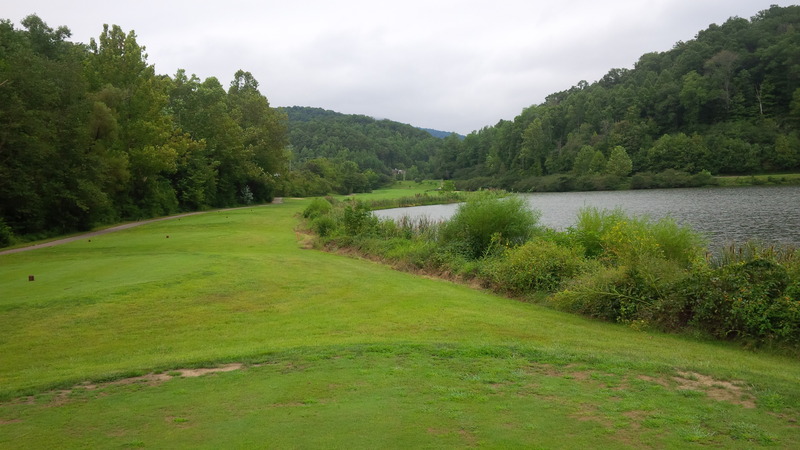 And, honestly, for being in a remote region of the middle Appalachian Mountains, the course is incredible easy to reach from Lexington. Having “seen all of the course” from the back tees, it is easy to understand why Wasioto Winds has been the recipient of universal praise and accolades. As far as long par 3 holes go, the 17th at Wasioto Winds was one of the best I’ve played in recent memory. 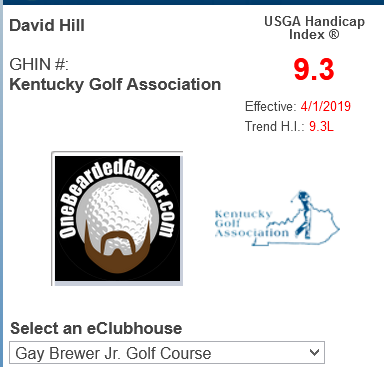 The course has been included in both Golf Magazine‘s and GolfWeek‘s best places to play in Kentucky in recent years, and deservedly so, in my opinion. If you are in the area, Wasioto Winds is a perfect place to appreciate a love of natural beauty and a quality round of golf. The quality of the golf experience is sufficient to justify at least the pilgrimage at least once. Chances are, you’ll want to go back. 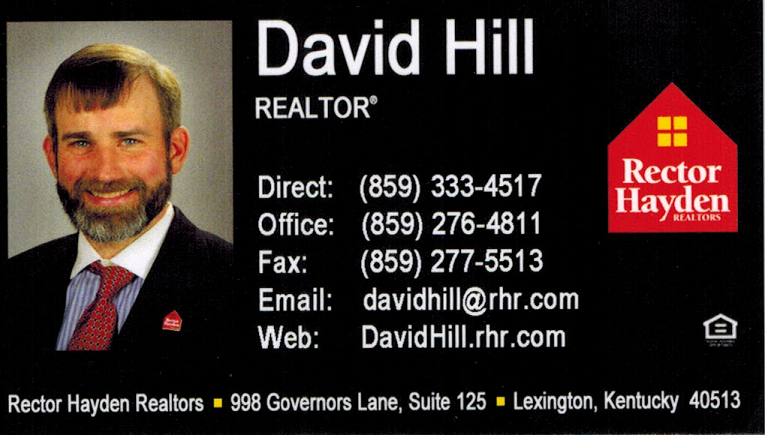 Atta boy Dave! 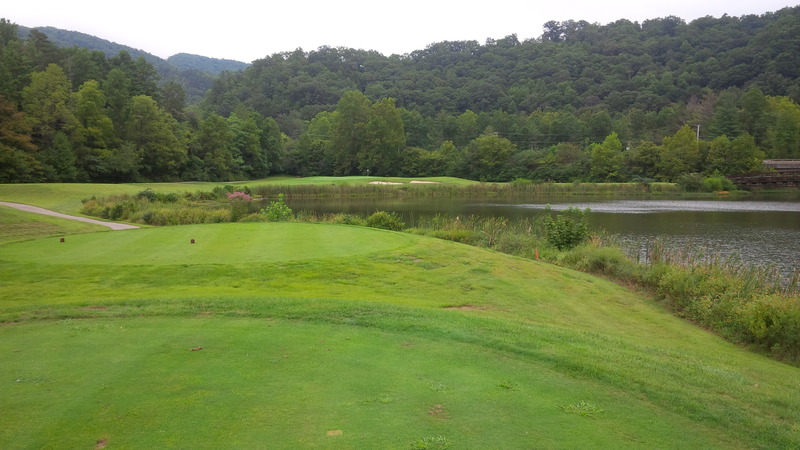 BTW, if you get a chance, go just south across in Tennessee and play Woodlake. In same class as WW IMHO.